We're back at Collingwood library! Back to regular programming. Man it feels like it has been forever since the last CCH. Come and let's have some games and grind for BAM which is in May. 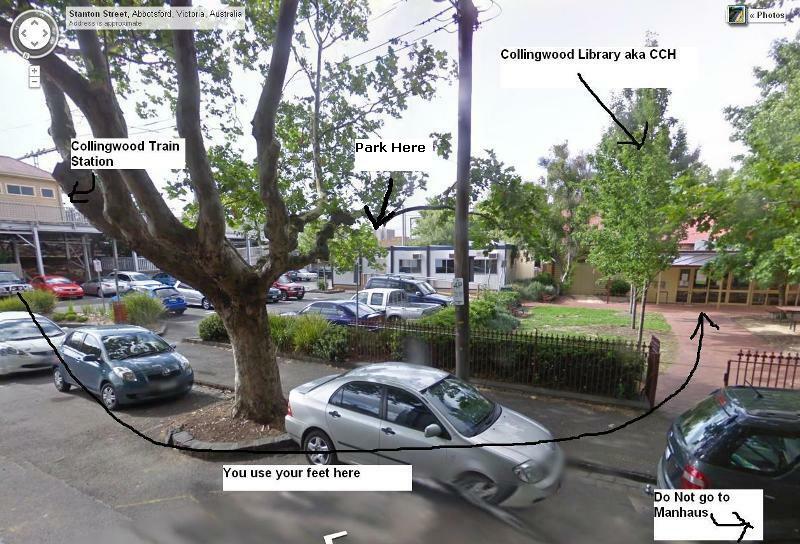 The food is definitely crappier around the Collingwood library compared to Richmond but at least the parking is plentiful. Please bring your setup if you can so we can all get more games in, we start this CCH early at 3PM and hope to see you guys there! When: Saturday 29-March-14 3:00 pm start till late. Fee: $2 venue fee- Anybody that brings either a monitor/console/stick gets in for free. I think it should be more clear where you have to pay when you enter, It's a bit hard to notice the Doraemon. Hey Mutton, thanks for inviting me last week. I'll be there! How difficult is it to get a car park down near the library? I'l try to put up more signage ashxu. And maneatingboar plenty of parking at the library. We are open now. Just got home after closing up. We had a great turnout today, big big thanks to everybody who brought a setup, we really appreciate it. Was great to see a bunch of new faces today and a bunch of familiar faces like Jake and Wayne, hope you all had fun tonight! 1 Like ashxu likes this.